Sold by Global Imports and Fulfilled by Amazon. Gift-wrap available. 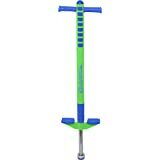 Amazon's Choice for "pogo stick for kids age 7"
This addition to the Jumparoo BOING! 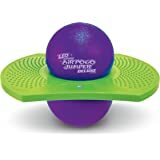 family of Pogos designed for younger kids & beginners. BOING! JR.'s rugged metal spring is completely encased within a steel housing for safety. 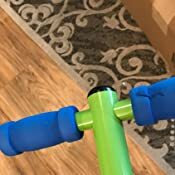 Comfortable foam grips on the T-handle for hours of Jumparoo Boing-ing! Suitable for kids aged 4 years & up, weighing between 40 lbs. and 80 lbs. 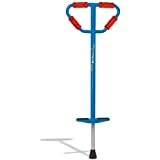 Non-slip footpads and rugged rubber pogo "foot" for superior safety. Sold by Global Imports and ships from Amazon Fulfillment. Sold by Sporting Toys. and ships from Amazon Fulfillment. 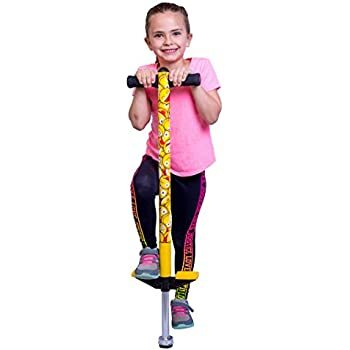 Now there’s a pogo for smaller tykes and beginners. This new BOING! JR. is sized shorter for smaller kids who weigh from 50 to 90 lbs (23-41 kgs). Like the entire Geospace family of BOING! 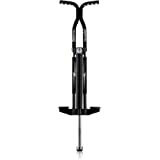 Pogos, the rugged metal spring that powers this pogo is completely encased within a steel housing for safety. 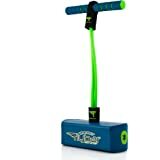 The T-handle has comfortable foam grips for hours of bouncing. The rugged rubber-type non-slip foot also provides excellent stability. 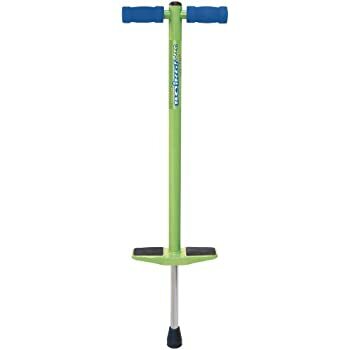 For children ages 4 & Up (max weight of 80 pounds). For older kids, check out the other Jumparoo BOING! 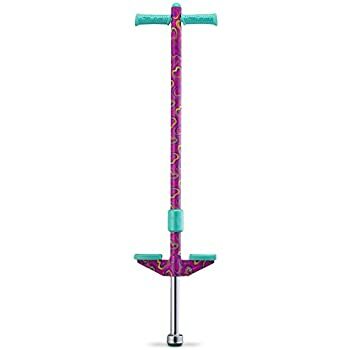 Pogo Sticks. Geospace now has an iPhone/iPod App called Boing-O-Meter that is ideal for use with the BOING! JR. and all of the Geospace Pogos. 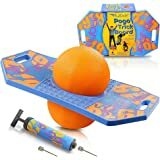 With the Boing-O-Meter, you can challenge yourself by trying to beat your best score for number of bounces in a row, you can challenge a friend, or even try to get on the worldwide leader board! Global Imports NYHI® ThinkAwesome All4Love Crystal Deals Sporting Toys. 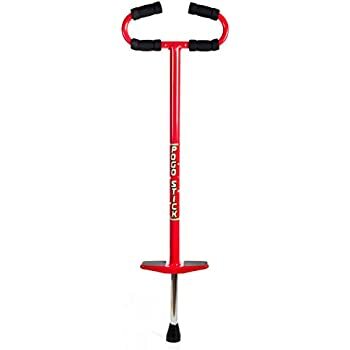 Awesome high quality pogo stick. My son loves it. 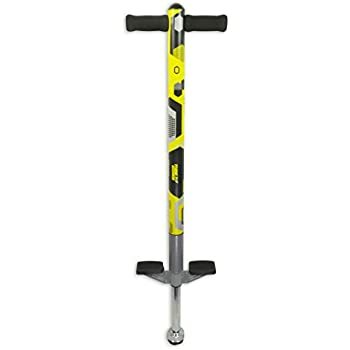 Only thing worth mentioning is the weight limit.. pogo stick supposed to be 50-90 lbs. My son is 80 lbs and he easily 'bottoms-out'. He is a very experienced pogo jumper so maybe his power jumping is why. When he just kinda bounces around or uses no hands it doesn't bottom out. I never post reviews but my very petite 8 yr old daughter received this for Christmas and has not put it down. 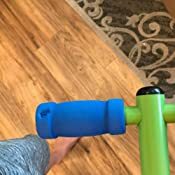 I was concerned after reading some of the other reviews that her slight weight and build would be a problem as she only weighs about 40 lbs but she puts her sneakers on and is now up to 201 continuous bounces. Now granted she is athletic as a gymnast but she said, "this is my FAVORITE present from Christmas Mommy!" My nine-year-old was delighted to receive this for her birthday present. She has asked for me to inform everyone that her record is 24 hops before losing her balance. BOING!!!! 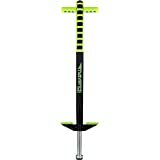 The pogo stick looks to be of excellent quality and built for the younger set (my 9 year old is small for her age). The foot broke first week of use. My son is 60lbs. When the foot broke it caused him to lose control and fell. He hurt his shoulder and we had to take him to the emergency room. 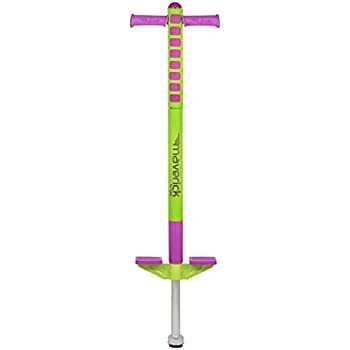 Extremely well made pogo, however, my 8 year old niece is nowhere near heavy/strong enough to use it. I'm 110 lbs and 5'2" and couldn't get it bouncing. Not sure if it just needs to be broken in or what? 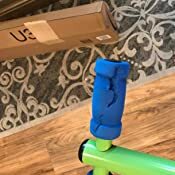 My husband who is 6' and 165 lbs also had trouble pushing it down to try to break it in. 4.0 out of 5 starsLooks like an awesome product. Looks great. Solid and secure, but won't know till Christmas, when my grandson tries it. Only negative was how it was delivered! Box was all tore up, but product was fine. Just ok probably bc my daughter isn't that big. She is 7. Id say better for an older kiddo. Good quality though just hard to say how well it works since she cant really bounce with it.